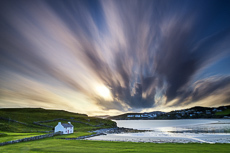 Discover the Emerald Isle's serene beauty of County Donegal, North West Ireland during this exciting new photography workshop destination for 2019. Meeting at Belfast Airport, we will travel to stay at a luxurious 4 star hotel resort where will be based for 7 nights in Ireland. With the benefit of a classic Irish cottage overlooking the bay next to the hotel, you won't have to go far to experience the stunning scenes that Ireland has to offer. With a landscape rich with castles, mountains and rugged coastal scenery, we will spend the week discovering the stretch of coastline along the west and north part of this largely isolated region. Bordering the Atlantic and shaped by the force of the ocean, the Irish coastline is known for its tall cliffs, striking sea stacks and sea arches. 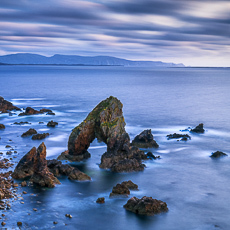 The Great Pollet Sea Arch on the eastern shores of the Fanad Head peninsular is Ireland's largest rock arch and offers the chance to shoot some great seascape compositions. 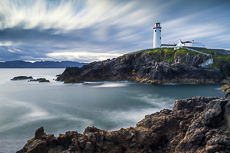 We will also spend some time at the iconic Fanad Head Lighthouse on the peninsular where we will use its spectacular views across the rugged Irish landscape and coastline to capture some dramatic images. During this photography workshop, we will also explore Ireland’s beautiful beaches along the wild Atlantic coast. A highlight will be in discovering the remote bay of Boyeeghter. Mysteriously known as "Murder Hole Beach" the turbulent waters have carved unusual cliff faces and a cave along this secluded bay. Surrounded by mountains, its isolation adds to the reward for those that find it. With a maximum of 6 people, book your photography workshop in Ireland early to avoid disappointment. This will give you quality time for individual tuition whatever your photographic level.